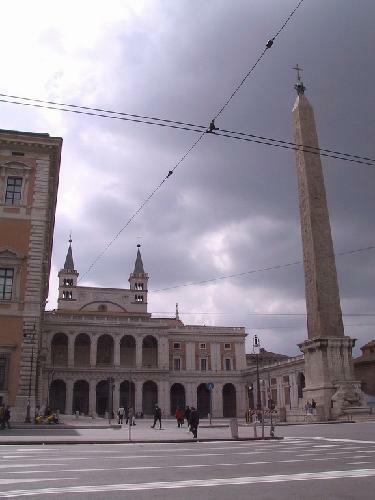 The obelisk call Lateran, of 32.18 meters, and 37 meters with base and 455 tons, are of red granite was made during the reigns of TUTMOSIS III . It lay in the craftsmen's workshops for 35 years and was finally erected in the year 1490 B.C. by his grandson Tuthmosis IV. The "skewer" of Tuthmosis III was first brought from Egypt in A.D. 357, and was repositioned in the Piazza San Giovanni in Laterano, Rome, Italy on August 3, 1588.